Show ACE Barber Shop on map! Show Algodones Optical on map! Algodones Optical since 1988 has aimed for excellence in all its products and services. This is achieved through the efforts of all the people who are part of the company, making every effort to fulfill our mission and quality objectives to meet the needs of our customers. 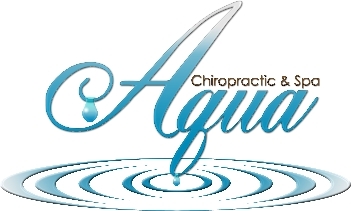 Show Aqua Chiropractic and Day Spa on map! Experience the Hottest & Latest Day Spa Treatments brought to you from Japan, Australia, Europe & New York! Your LA Style Day Spa brought to Yuma AZ. Starting January we will be having a Mom's Spacation every last Sunday of the month. It goes from 9am-1pm. They can call to make an appointment between those times at 928-782-1818. We will be offering Mommy and Me Spa Treatments and also Mommy and Me yoga classes. As well as Adult Yoga classes and Adult treatments like: Body Scrubs, Mud treatments, Tea wraps, Couples Massage, Facials, Waxing and more.. Mom's will receive any treatment on our menu for only $45 on that day. Show Extreme Hair and Wellness Salon on map! Upscale Salon Service at Affordable Prices. We use only high end products! Show Gory's Barber Shop on map! Show MAXWELL-GALVAN MEDICAL and DENTAL on map! Physician, Naturopath, Chiropractor, and Registered Nutritional Consultant, Doctor Curt Maxwell has been providing traditional, alternative, and holistic health care to thousands of patients for more than 30 years.